0. THERE ARE FILMS THAT YOU see once and say, “Meh.” Then there are others which grab hold of and mold your psyche in unexpected ways; movies that cry out “Watch me!” and require repeated viewings to grok in fullness — films that, while deep enough on their own, reveal new depths as the viewer grows with life-experience. Here are five to which I return every couple of years to measure myself. 1. Casablanca. Perhaps the greatest movie ever made, it has everything — romance, intrigue, honor, superb acting / writing / directing, Humphrey Bogart. Who doesn’t want to watch Bogie go from cynic to idealist and wind up fighting Nazis with someone he barely trusts? – Definition: adj. cautiously or suspiciously reluctant to do something. – Used in a sentence: Due to long experience, my cat is no longer chary of taking his arthritis medicine. – Why: I suppose you could always use the synonymic rhyme “wary,” but to me “chary” sounds similar to “charity” — and it’s sometimes prudent to be so when offered something for nothing. DOES IT MATTER WHETHER OR not sacred writings are historically accurate? This question comes up for me every year at our living-room Torah study, as people go to great lengths to try and explain the fantastical events of the Book of Exodus. Somebody is bound to mention that the Nile’s fish were killed by a blood-red tide, that locust swarms were a common (and in this case, well-timed) occurrence, that Mount Sinai was a volcano, etc., etc., etc. I feel that these good-natured and well-intentioned attempts at explanations are unnecessary. My point of view is that what matters is the story. THE DEFINITION OF “HACKER” HEREIN is “a person who enjoys exploring the details of programmable systems and how to stretch their capabilities, as opposed to most users, who prefer to learn only the minimum necessary.” In 2019, we have all sorts of hackers — computer hackers, life hackers, biohackers, mindhackers — all trying to understand, implement, and twiddle with hidden qualities and little-known or -understood features of whatever it is they’re hacking. 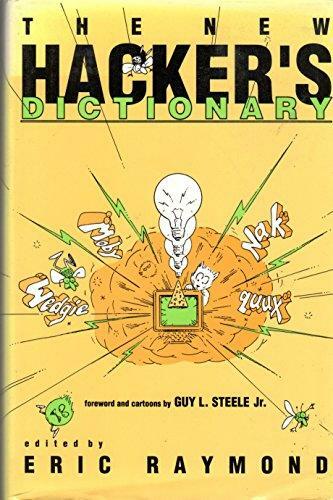 The New Hacker’s Dictionary, adapted from and AKA “The Jargon File,” got its start in 1975 as a text file (accessible by what your Grandpa used to call “FTP“) shared over networks by the original (computer) hackers.